Comal ISD is proud to host three chess tournaments this year, one at each high school. Registration is open to all Comal ISD students to enter at any tournament beginning on January 8. 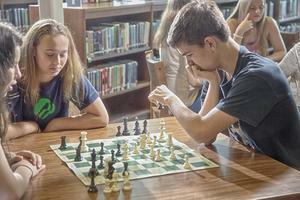 Comal ISD is proud to host three chess tournaments this year, one at each high school. Registration is open to all Comal ISD students to enter at any tournament beginning on January 8. Each tournament only has 300 spots available on a first come, first serve basis. Please visit http://sascholastic.com/ to register. For questions, please call your campus' front office and ask to speak to the Chess Coach.